My latest swap in Milliande Art Community for Womenwas themed "Well Behaved Women Seldom Make History." Love seeing everyone's different take on the fun theme. 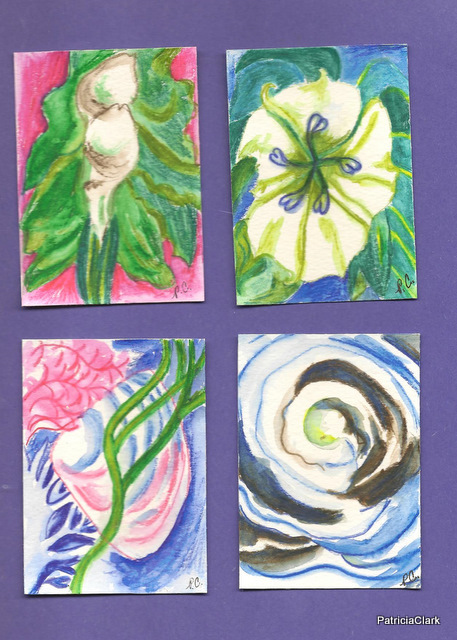 My cards were inspired by Georgia O'Keefe, American artist who challenged the art world to look closer at nature and the world around us with her contour shapes and varied colors in the 1920's and 30's. 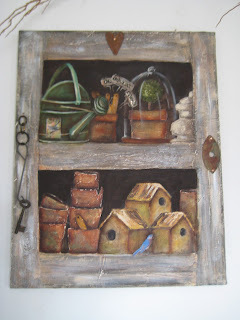 Her paintings elevated ordinary things to a new level. 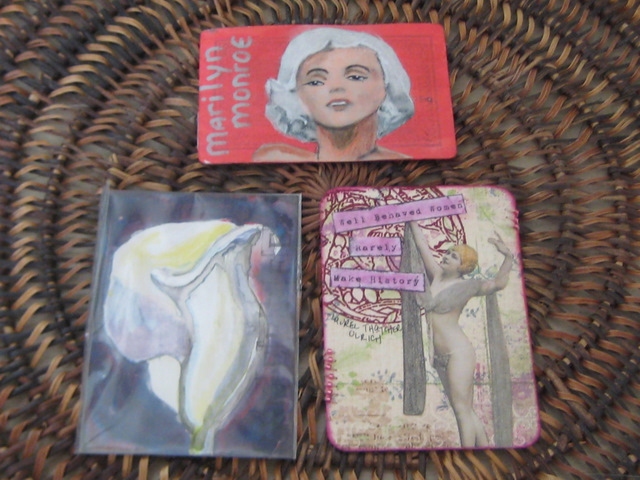 Here are the ones I was delighted to receive in the swap from the top: beautiful Marilyn by Deesie van Deelen, a delicate lily by Trine Pettigrew (another O'Keefe admirer), and the graceful lady by Liz Monaghan. It's such fun to trade bits of art with friends across the world. I love the cards you created and find it amazing that you and Trine should have chosen the same Artist.